Turkish military officials confirmed that operation “Olive Branch” targeting Syria’s northwestern Afrin Province officially began on January 20. The objective is to eliminate the presence of both People’s Protection Units (YPG) and Islamic State (IS). According to Turkey’s Prime Minister Binali Yildirim, Turkish ground forces entered Syria’s Afrin District from Kilis’ Gulbaba region on January 20 at 11:05 (local time). The prime minister also stated that the “four-phase operation” will aim to create a buffer zone 30 km south of the Turkish border. Turkish forces targeted YPG positions with artillery fire throughout Afrin Province on January 20-21, including along the Turkish-Syrian border. Turkish-backed Free Syrian Army (FSA) rebels were deployed along Syria’s border with Hatay Province and south of Syria’s Azaz. YPG forces responded to the aerial bombardments with artillery fire striking Turkish forces in and around the Turkish border town of Kilis. Turkish President Recep Tayyip Erdogan stated on January 20 that Syria’s Manbij, located just west of the Euphrates River, will be the “next destination for a Turkish combat operation” following Afrin. The operations highlight Turkey’s continued efforts to safeguard its interests in northern Syria. 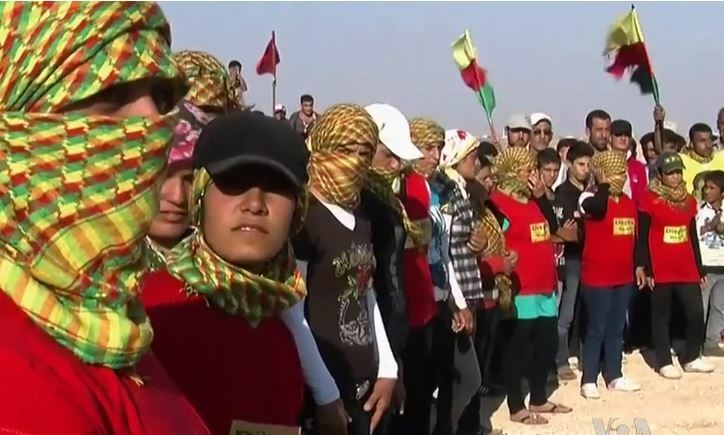 The campaign in Afrin comes amidst persistent concerns by the Turkish government regarding the Kurdistan Workers’ Party (PKK) activity along the border with Syria. The Turkish government has repeatedly accused the YPG of cooperating with the PKK, and by launching the offensive in Afrin District, Turkish authorities seek to stem the YPG’s assistance to the PKK. Additional motivation for the operation may include Turkey’s efforts to assert its political influence, as well as that of the elements it supports in Syria, ahead of future negotiations between the various parties in the Syrian conflict. President Erdogan’s hardline stance regarding the elimination of YPG elements in Syria is linked to his political ambitions regarding the upcoming 2019 election. In the past, Erdogan’s calls for the eradication of PKK militants and all affiliated elements courted ultra-nationalist voters and expanded his base significantly, helping ensure victories such as the April 2017 referendum. A recent endorsement by the Nationalist Movement Party (MHP)’s chair and a continuing aggressive foreign policy regarding Turkish-Syrian border security will consolidate his base and secure him the presidency. The military operation in Syria’s Afrin will likely cause obstacles for oppositions parties in uniting, mainly the Republican People’s Party (CHP), due to likely labeling of it being weak on militancy. This labeling will likely be triggered by CHP leader Kemal Kilicdaroglu’s recent call for diplomacy as opposed to a military operation into Afrin, as ultra-nationalists will perceive the statement as willing to negotiate with militant elements. US-Turkish relations are likely to further diminish as a result of the operation, given vocal US opposition against intervention in Afrin. Turkish authorities already expressed much discontent regarding the US’ persistent support of the Syrian Democratic Forces (SDF), a group comprised of mostly YPG fighters in northern Syria. The US will likely continue providing the SDF with both weapons and training in order to not only fight IS, but to counter the influence of Syrian President Bashar al-Assad and the Iranian government. While the Turkish government has voiced its disapproval of Assad in the past, its objective to eliminate Kurdish influence in the region will be the priority, and US intervention will likely only embolden Turkish forces to engage in military operations against the YPG in northern Syria. While Moscow provides a degree of support for the Kurdish militia, the Turkish operations are unlikely to significantly impact relations between the two countries. This is because the operations in Afrin District are not likely to jeopardize Russia’s strategic interests in Syria, namely the coastal provinces of Tartus and Latakia. Instead, the campaign may serve Moscow’s interests by weakening the US’s most important on-ground ally, decreasing Washington’s influence in Syria. The possible consolidation of a foothold by Turkish-aligned elements may also allow Moscow to better negotiate and enforce agreements across the country. FORECAST: Given precedent of the previous Euphrates Shield operations, Turkish-backed rebels will initiate the ground offensive from multiple fronts, such as the Azaz and Deir Semaan areas, as well as from within Turkish territory, including Hatay and Kilis provinces. By doing so, the Turkish-backed rebels will compel the YPG to fight on multiple fronts, overstretching their forces. 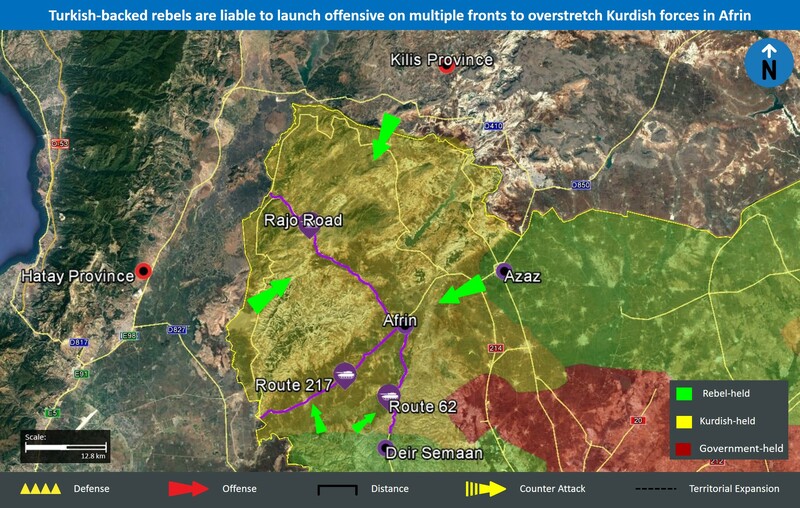 In the initial stages of the offensive, rebels will seek to attain and cut off the Rajo Road, as well as routes 62 and 217, all serving as important supply lines leading to the city of Afrin. Turkish forces will concurrently mainly conduct aerial bombardments and heavy artillery fire against YPG positions. Once areas are cleared of the YPG, Turkish army personnel themselves are likely to enter captured territories and establish administrative control. In response to the operation, as underlined by the YPG’s artillery fire at Turkish forces in the Kilis area, the Kurdish group will likely retaliate with rocket and mortar over the coming days. The Turkish operations in Afrin District are liable to benefit the rebels’ rivals, namely the Islamic State (IS) and the Syrian government, on nearby fronts. Over the past several weeks, both IS and pro-government forces were able to capture multiple areas from rebel forces in southeastern Idlib, northern Hama, and southern Aleppo provinces. In light of the likely deployments of rebel fighters to northwestern Aleppo Province, at the expense of the Aleppo-Idlib-Hama triangle, their adversaries are liable to take advantage of their more dwindled presence in the region to seize additional territories. This is highlighted by the reported capture of Idlib Province’s Abu Dhuhur Military Airbase on January 20 by pro-government forces. As a result, both IS and the Syrian government are likely to intensify their operations in southeastern Idlib, northern Hama, and southern Aleppo provinces over the coming days and weeks. Travel to Istanbul and Ankara may continue, although travelers are advised to maintain heightened vigilance in central areas due to the threat of militancy, as well as regular anti-government protests and occasional incidents of unrest in these locales. Contact us at [email protected] or +44 20-3540-0434 for itinerary and contingency support options. Avoid nonessential travel to the immediate vicinities of government buildings, police stations, political party offices, popular public places and shopping centers, as well as Western institutions and places frequented by Westerners, and places of worship due to the threat of militancy. Avoid nonessential travel to Turkey’s southern and eastern provinces, while also avoiding all travel to border areas with Syria and Iraq, given the increased risk of militancy and spillover violence. Those conducting essential travel to Turkey’s southern and eastern provinces are advised to defer all travel to areas witnessing curfews due to the elevated risk of violence in these locales. Avoid all travel to outlying areas and cities including Homs, Hama, and Idlib due to persistent fighting and heightened risk of kidnapping targeting foreigners, particularly in combat zones and rebel-held areas. On April 16, the Turkish public will vote on a referendum which, if passed, will enact major reforms to the national constitution. At the core of the referendum is the decision to replace the existing parliamentary system of government with an executive presidency. The passing of this referendum will thus reform all of Turkey’s branches of government. If the referendum is to pass, the prime minister’s post would be abolished, and thus its powers would be transferred to the president. With this in mind, the president would be responsible for selecting and approving the government’s ministers. In addition, the referendum would remove the parliament’s power to enact a vote of confidence to force out the executive. Instead, in order for the president to be removed from office, he must first be charged with a crime by a majority of MPs. Then, the president must be tried by 17 judges of the Constitutional Court. Furthermore, it is important to note that the term length of the president would remain set at five years, and an individual can serve no more than two terms. However, due to the refined role created by the referendum, current President Recep Tayyip Erdogan would be permitted to seek two additional terms. Thus, if elected, he could remain in power until 2029. The referendum would significantly increase the number of appointments to the judiciary allowed by the president. With the new proposals, the president would be responsible for selecting 69% of Turkey’s senior judges, as opposed to 46% today. In addition, the president would be responsible for appointing 14 of the 17 members of the Constitutional Court, which is the highest judicial body in Turkey. Finally, the referendum would prevent the judiciary from picking any members sitting on the Supreme Board of Judges and Prosecutors (HSYK), the disciplinary body of Turkey’s legal system, and instead, assign these appointments to the president and the parliament. The parliament’s ability to launch investigations against members of the executive would be abolished entirely under the proposed referendum. Furthermore, these powers would not transfer to any other body. In addition, the power of parliament to submit questions to the president regarding sensitive issues would be ridded as well. Finally, the ability for parliament to motion a censure, which could effectively unseat a member of the executive, would be abolished by the new referendum as well. While public opinion polling has largely shown support and opposition to the referendum to be close, we assess that at least 51% of the populace will ultimately vote yes on the proposed constitutional reform, thus gaining the required amount of votes needed for it to pass. This support largely emanates from members of Erdogan’s own political organization, the Justice and Development Party (AKP), as well as individuals from the Nationalist Movement Party (MHP). In opposition to the proposed referendum is the more moderate Republican People’s Party (CHP), and a large portion of the Kurdish community, including the pro-Kurdish People’s Democratic Party (HDP). With this in mind, this likelihood of the referendum passing is due to several factors. First, public support currently experienced by Turkish President Recep Tayyip Erdogan will likely encourage Turkish nationals to back the referendum. This favorability can be heavily attributed to his anti-militancy campaign, which has resulted in both downtick in Kurdistan Workers’ Party (PKK)-perpetrated attacks, as well as a general absence of large-scale acts of militancy in Turkey’s major cities in recent months. In this context, as Erdogan continues to portray himself as the one who reinforced Turkey’s security apparatus, moderate, secular portions of the Turkish population who may have been less willing to back the president may ultimately vote in favor of the referendum due to this notable decrease in militant attacks in the country. Thus, by continuing to campaign on this anti-militancy platform, Erdogan will likely rally more support in favor of the constitutional referendum, and increase the chances of the reform successfully passing. Moreover, even if a large-scale militant attack were to emanate in the coming days, Erdogan would likely attribute it to the lack of a strong executive, thereby further strengthening his counter-militancy campaign. Therefore, such an incident occurring is unlikely to decrease the potential for the referendum to pass. In addition, Erdogan’s mass efforts to stifle his opposition have significantly reduced the influence of his opponents. The President has conducted mass arrest raids against multiple segments of Turkish society who have voiced opposition against him or the proposed constitutional referendum. Such raids have particularly been seen with operations targeting those who support US-based cleric Fethullah Gulen, who the Turkish government has linked to the failed military coup in July 2016. As the threshold has been lowered and the scope has been broadened by the president for such arrests to take place, the opposition has had less of a platform to campaign against the proposed referendum. Moreover, those in Turkish media who have attempted to voice their opposition to the referendum have largely been silenced by the government. For instance, in early February, a prominent news anchor was fired by a Turkish news agency after stating his opposition to the proposed constitutional reform via social media. Moreover, in mid-February, one of Turkey’s leading newspapers cancelled an interview with a Nobel-Prize winning Turkish novelist following his public opposition against the referendum. Thus, Erdogan has further limited the opposition’s abilities to organize and successfully wage their campaign. That said, it is important to note that the possibility for the referendum not to pass remains, particularly as recent opinion polls show the vote in a virtual tie. If such an outcome were to occur, it is unlikely that President Erdogan would drop the proposed constitutional reform as a result. Instead, Erdogan would likely revamp the “yes” campaign’s image in order for it to gather broader support, and then attempt to push a newly drafted proposal through Parliament once again. Potential addendums for this changed referendum may be slightly more restrictions on the executive, such as allowing Parliament more oversight in the system. However, such changes would be minimal, as the goal of the constitutional reform would likely remain to strengthen the power of the presidency at the expense of the Parliament. While in the immediate short term, the effects of a successful referendum are unlikely to be notable, particularly as Erdogan has already exercised abilities that have surpassed boundaries set by the office of the presidency, multiple domestic issues are likely to be heavily affected in the months to come. First, constitutional reform that expands the powers of Erdogan is likely to significantly decrease the chances of successful negotiations occurring between Turkish authorities and the Kurdistan Workers’ Party (PKK). As Erdogan has stated in the past that the Turkish government will not stop “until the PKK is eradicated,” it remains unlikely that a system fully run by the president with relatively unchecked powers would work towards compromises with the Kurdish group. Thus, the passing of the referendum is likely to only lead to additional intensified measures against the Kurds, thereby provoking the militants to engage in additional acts of militancy against Turkish security forces. Moreover, it is important to note that if Kurdish communities view the passing of this constitutional reform as oppressive, militants groups such as the Kurdistan Freedom Falcons (TAK) will be more likely to recruit frustrated individuals more susceptible to radicalization. Also, the passing of the referendum is likely to cause additional pitfalls for Turkey’s economy in the coming months. Reports have continously highlighted elevated concerns of international investors regarding the stability of Turkey’s political system under a new government system. While a stronger executive would be expected to alleviate such woes, in light of Erdogan’s increasingly negative rhetoric towards European nations, as well as his staunch opposition against the Central Bank’s rising of interest rates to help promote growth in the declining Turkish Lira, additional authority granted to the president will likely only escalate worries of potential international investors. Thus, international entities may be less willing to invest, which will likely stifle economic development in the country. This would be significantly detrimental as the Turkish government has committed itself to multiple large-scale projects, including the building of a new airport in Istanbul. A lack in revenue to fully pay for such projects will only hurt the general populace who will have to make up for this shortage, thus leading to an even further declining lira as citizens are less willing to save and invest. Meanwhile, geopolitical implications exist for the passing of such constitutional reform, particularly in regards to relations between Turkey and the EU. During the course of the referendum campaign, the Justice and Development Party (AKP) government has made persistent efforts to reach out to Turkish nationals living in Europe, in efforts to gain their support. However, European countries have blocked multiple efforts by Turkish politicians to campaign within the countries themselves, including Germany and the Netherlands, which has thus led the Turkish government to retaliate in the diplomatic sphere. Thus, the campaign has ultimately caused tensions between Turkey and the EU, and if the referendum is to pass, relations between these parties are likely to remain strained. Such cooling in tensions will likely lead to complications in multiple regional issues, including the current Syrian refugee crisis, as well as the outward threat of militancy, as Turkey may be less willing to coordinate with its European counterparts. Over the coming days, pre-vote violence emanating from tensions surrounding the passing of the referendum is likely to materialize, similar to what has been seen surrounding parliamentary elections. Such violence is likely to target parties who oppose the passing of the referendum, and be perpetrated by ultra-nationalists with no affiliation to the Turkish government, but who heavily support constitutional reform, namely those who support the MHP, who have been linked to precedent incidents of violence. Furthermore, such violence is likely to remain small-scale and unsophisticated, such as shooting attacks or the use of homemade IEDs against entities affiliated with the opposition. 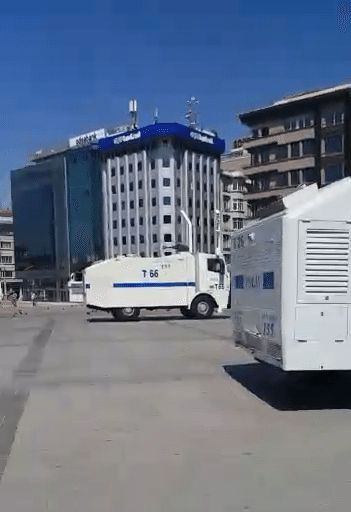 For instance, on March 21, an individual shot at a tattoo studio after mistaking it for a pro-Kurdish People’s Democratic Party (HDP) office in the city of Denizli. In addition, on December 17, 2016, an IED was detonated near an HDP office in Istanbul. These incidents highlight the threat of such armed attacks by these ultra-nationalists, and potential for additional violence around the date of the referendum. Thus, prior to April 16, security forces are likely to intensify measures at campaign rallies, and entities connected to the referendum in order to prevent such attacks from unfolding. However, in light of existing tensions, the potential for acts of violence remains increased at this time. Furthermore, the possibility exists that militant groups, namely Islamic State or the Kurdistan Freedom Falcons (TAK), may take advantage of any disarray caused by large rallies or heightened tensions in order to stage attacks in major locales. Furthermore, on April 16, avoid nonessential travel to the vicinity of polling stations nationwide given the threat of politically-linked acts of violence emanating at these locales. In addition, on April 16 and the days prior, avoid nonessential travel to all campaign events and rallies regarding the referendum due to this risk of violence, as well as the threat of militancy unfolding at these events, albeit limited. Be advised that in Istanbul, areas that frequently record protests include the vicinity of Taksim Square, Galatasaray Square, along Istiklal Caddesi, Kadikoy’s Bull Statue (Boga Square), in the Fatih District, Beyazit Square, and Istanbul University. In Ankara, such locales include Yuksel Street, Sakarya Square, as well as Guvenpark Memorial, Kurtulus Park, the Grand National Assembly, Ataturk Boulevard, Middle East Technical University, and other university campuses in the city. Reports indicate that 41 people were killed and 69 more were wounded in a New Year’s shooting attack at the Reina nightclub in Istanbul’s Besiktas district during the overnight hours of December 31-January 1. Furthermore, 24 of those killed were reportedly foreign nationals. The incident transpired as an assailant armed with an assault rifle stormed the locale and opened fire at the crowd celebrating New Year’s Eve. Further reports indicate that the crowd at the club numbered in the mid to high hundreds. Following the incident, the assailant was able to escape the club. Turkish security forces have launched a search operation to locate and arrest the assailant; at the time of writing, he is still at large. While the situation at the nightclub itself has been contained following the New Year’s shooting, given that the assailant remains at large and is still likely armed, heightened security measures can be anticipated in the vicinity of the night club, along the waterfront, and throughout central Istanbul. 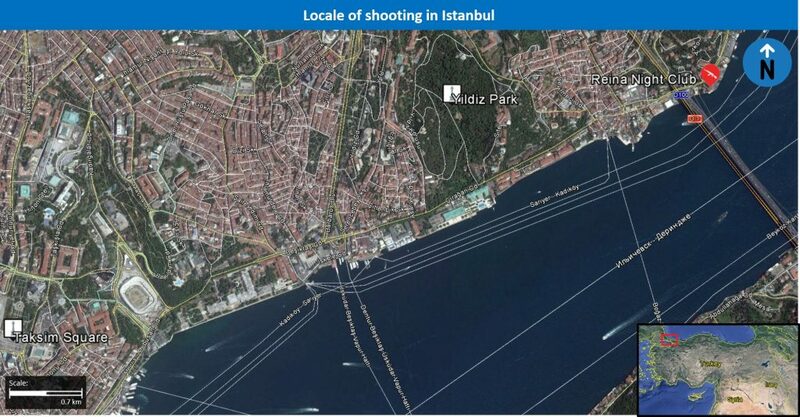 Locales likely to be affected include Yildiz Park, located near the nightclub, and more central locales such as those along Istiklal Caddesi, like Taksim Square. Moreover, the active New Year’s shooting attack comes amidst an escalated threat of militancy in major Turkish cities, as highlighted by the December 10 twin bombing attacks carried out by the Kurdish Freedom Falcons (TAK), near Istanbul’s Vodafone arena, which resulted in the deaths of at least 38 people. In this context, the IS claim of the attack is highly notable, as the militant group has rarely taken responsibility for such incidents in Turkey. Moreover, the attack remains more comparable to incidents carried out by IS sympathizers in Europe and the Americas, such as the June 12 active shooting attack targeting a gay nightclub in Orlando, Florida, thus increasing the likelihood that the shooter was inspired by IS ideology, and therefore, carried out the attack in the militant group’s name. In addition, it is important to note that the attack comes amidst recent calls by the jihadist group’s linked media to conduct attacks during the holiday period. For instance, in late December, a pro-IS media outlet issued a call for the group’s supporters to carry out worldwide acts of militancy against New Year’s Eve celebrations in crowded public spaces such as clubs, markets, theaters, cinemas, and malls. In light of these calls, with regards to Turkey, by encouraging such attacks, the Sunni jihadist militant group likely seeks to retaliate against Turkey’s ongoing operations in northern Syria against its fighters. Moreover, the fact that a nightclub frequented by foreign nationals was targeted may serve the jihadist group’s likely long-term strategy of deterring foreigners from traveling or investing in Turkey, thus potentially damaging the country’s national economy. Forecast: With this in mind, heightened security measures are likely to be recorded throughout Istanbul’s Besiktas District over the coming hours and days, in an attempt to detect and arrest the shooter. These are liable to include checkpoints, arrest raids, and heightened security presence in the vicinity of areas which are frequented by foreigners. Furthermore, there remains a potential that upon the detection of the assailant, an exchange of gunfire between security forces and the attacker will be recorded, thus potentially constituting a collateral threat to bystanders. Avoid nonessential travel to the immediate vicinity of government buildings, police stations, political party offices, popular public places and shopping centers, as well as Western institutions and places frequented by Westerners, and places of worship due to the threat of militancy. Additionally, it is advised to maintain heightened vigilance throughout Istanbul’s Besiktas District over the coming hours and days, given that the assailant is still at large, as well as the currently increased security measures in this area aimed at locating the perpetrator. In Islamic State’s (IS) most recent publication of its self-promoting magazine, “Rumiyah,” the jihadist group calls for its followers to stage attacks against political, religious, and security entities within the Turkish state, as well as those who support the country in general. This edition marks a drastic shift in rhetoric as compared to previous publications, which was likely triggered by the Turkish government’s increasing involvement against IS in both Iraq and Syria, particularly as the militant group faces major setbacks in both countries. Due to these setbacks, IS will likely increase its recruitment efforts, while attempting to launch less sophisticated, but more frequent attacks within Turkey over the coming weeks to retaliate against the Turkish state. 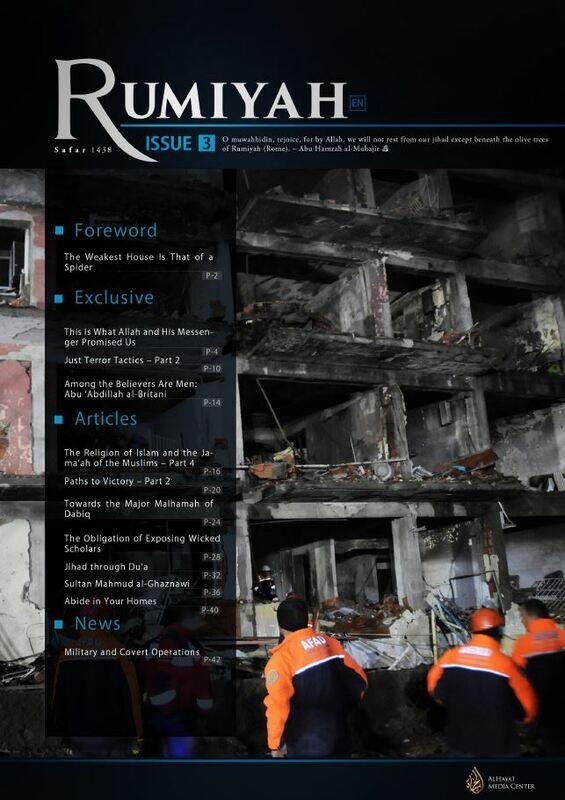 In the Islamic State’s (IS) latest publication of “Rumiyah”, the group’s self-promoting magazine which lists its political and theological stances, as well as boasts its successful acts of militancy and achievements on the battlefield, the militant group called for its followers to “strike the Turkish taghout,” referring to the Turkish state as an apostate government, and all those who support the Turkish state. While the militant group had written about its opposition to the Turkish government in previous issues of Rumiyah, as well as in its predecessor “Dabiq,” the jihadists’ resistance to Turkey in this most recent publication is heavily emphasized, and largely more hostile, unlike magazines in the past. IS lists four categories of targets for militants operating in Turkey in their most recent publication: 1) Turkish Imams, religious figures, and those who do not believe in Islam; 2) Police, judges, and the military; 3) Scholars, supporters of the ruling Justice and Development Party (AKP), and other political parties allied to it; and 4) Citizens of “crusader” nations, which are countries that oppose and battle IS. This recent publication comes amidst increased involvement by Turkey against the jihadist militant group, including its backing of Syrian rebels in “Operations Euphrates Shield,” and its direct support of Sunni, Turkmen, and Kurdish Peshmerga fighters who are challenging IS in the vicinity of Iraq’s Mosul. In light of IS facing multiple setbacks in northern Syria and Iraq, the jihadist group likely perceives Turkey’s escalating involvement as a major threat, thus calling for its fighters to retaliate against the Turkish state. In this context, while previous issues of the Sunni militant group’s publication in late 2014 and early 2015 had mentioned Turkey, namely by labeling President Erdogan as an apostate, the group claimed that the Turkish government was mostly preoccupied with its own internal conflict against the Kurdistan Workers’ Party (PKK), its own political instability, and threats emanating from other leftist militant groups. Thus, in the eyes of the jihadist militants, Turkey posed a limited threat to the operations of the group. This is further evidenced by Turkey’s minimal use of airstrikes employed against the jihadist group in 2015, particularly as compared to its frequent offensive measures taken against the PKK. However, the militant group’s publication released in September 2015 made a notable shift from this typical rhetoric, suddenly labeling Turkey as a significant threat due to its proposed “safe zone” against IS in northern Syria. Moreover, it went on to claim that Turkey’s army remained one of the only adequate forces in NATO, largely due to US President Barack Obama’s perceived “neutering of the US military,” and the “underfunding” of militaries in other nations that make up the international military alliance. That said, the jihadist group still viewed Turkey as distracted by its own internal problems, and thus, focused less on the potential threat it posed. In light of this continuing downplaying of the threat Turkey presents to IS throughout past publications, the most recent issue displays a drastic change in terms of rhetoric when writing about the Turkish government. In this context, as reflected by its recently issued publications, the Sunni jihadist militant group no longer perceives the Turkish government as distracted by its own internal factors. Instead, IS focused on Turkey’s escalated measures taken towards the jihadist group, including “opening its airspace” to nations opposing IS, “opening its borders” to provide support for Kurdish troops and rebels in both northern Syria and Iraq, and ultimately “entangling its army” in both conflict zones by sending planes to target the militants’ positions and tanks to strike against the group’s controlled territories. This shift in focus is reflected on the ground, as IS struggles to maintain major territories, the Turkish government continues to remain heavily involved on the Bashiqa front in northern Iraq, thus reinforcing the Iraqi pro-government forces, mainly the local Sunni Arab and Kurdish forces, offensive to reclaim the city of Mosul. Also, Turkish tanks have been reported as nearly as 30 km south of the Turkish-Syrian border, thereby reinforcing rebels in their fight to retake northern Aleppo from the jihadist group. Both of these operations constitute substantial threats to the organization, therefore likely explaining IS’ shifting rhetoric in its most recent publication, and will likely lead to further threats by the jihadist group against Turkey in the days to come. In general, the threat posed by IS to Turkey has been significantly reduced in recent months. Major, multi-pronged attacks in central locales, like witnessed in Istanbul’s Ataturk International Airport on June 28, have become notably less frequent. That being said, other groups have demonstrated their capability fill this gap and carry out sophisticated attacks in central Turkish cities, as most recently highlighted by the December 10 twin bomb attacks near Istanbul’s Vodafone Arena, which was ultimately claimed by the Kurdistan Freedom Falcons (TAK). With this in mind, despite the recent declining number of militancy incidents in Turkey, the threat of large-scale militancy in such areas persists, which is now further elevated by IS’ increasing focus on targeting Turkey. In this context, as IS continues to lose ground, which has been the overwhelming trend in recent weeks, the group will likely fall back on its typical strategy of attempting to stage major attacks in its opponents’ rear. This has already been seen with the vehicle-borne IED attack in Diyarbakir on November 5, which an IS-linked new agency claimed was carried out by the jihadist militants themselves, although the radical Kurdistan Freedom Falcons (TAK) claimed responsibility for the same attack. Regardless of whether IS did actually carry out the attack, the claim was highly notable, as IS has refrained from claiming such incidents in Turkey, thus further underscoring the group’s stated motive in its latest publication to carry out acts of militancy. Furthermore, it is important to note that such militancy has been witnessed in the past when IS has felt increasingly pressured, likely in an attempt to project resilience. With this in mind, as IS fights to defend its final remaining strongholds in both countries, we assess that the militants will likely up the ante in the coming weeks. In this context, despite Turkish security forces’ relative success in mitigating the threat of attacks in major cities, IS still has the potential to launch asymmetric acts of militancy within Turkey’s territory. For one, the militants still maintain somewhat of a presence in the country’s southern provinces located closer to the Turkish-Syrian border, such as Gaziantep, Urfa, and Adana, as recent arrests of IS militants have highlighted. Also, Turkish security forces have struggled in completely sealing off the border from IS infiltrations. That said, Turkish forces’ persistent efforts against the group, domestically and externally, have reduced this threat. Additionally, following the attempted coup in July, Turkish public support has swayed dramatically in favor of President Erdogan and the AKP government, thus limiting the potential pool of recruits for IS. Moreover, due to the state of emergency taken into effect after the coup, security forces were granted greater authority to take heightened measures, thus likely leading to a reduction of militancy altogether. FORECAST: In light of these setbacks, IS will likely take two approaches in the coming weeks. First, the militant group will likely increase its propaganda tactics, in efforts to recruit supporters from within Turkey itself. Through means of the internet, namely social media, IS will likely seek out sympathizers in order to build its ranks, and get Turkish citizens to carry out attacks in its name. Second, due to Turkish forces’ escalated security presence, IS-linked supporters will likely aim to stage smaller, less sophisticated attacks in higher frequencies, as such are harder for security forces to detect. This will likely include shootings, as well as the use of IEDs and other explosives targeting security forces, political figures, and also civilians. Such was witnessed with the Diyarbakir attack on November 5, as the attack was a vehicle-borne IED instead of a suicide bombing or multi-pronged attack. Ultimately, however, the main goal of IS will be to stage a large-scale attack in a major area, particularly as the group continues to lose ground in Syria and Iraq. As IS becomes more desperate, its motivation to stage such an attack will increase. In light of precedent attacks which have proven IS capabilities to stage such acts of militancy, a sophisticated attack occurring in a major locale in the coming months remains possible in the long-term. In addition to this, a heightened focus on government-affiliated targets, particularly entities linked with the AKP, may be witnessed with such attacks given the government’s persistent operations against the militant group. During the overnight hours of July 15 and July 16, several units from among the Turkish Armed Forces (TSK) launched an attempted coup against the Turkish government, targeting several strategic locations in Istanbul and Ankara. By capitalizing on popular support, the Turkish government was able to rally large crowds in their favor, thus ultimately defeating the attempted coup. Failure of the coup highlights President Recep Tayyip Erdogan’s strong political standing and capabilities in the country, despite recent controversies, and he will likely capitalize on recent events to further broaden his authorities. In the aftermath of the attempted coup, it is likely that the Turkish population will perceive the coup as directed, funded and supported by foreign, including western, elements. This would largely contribute to further anti-western sentiments by the government and the populace, and could result in Americans, Europeans, and other foreign nationals being assaulted. Large number of personnel involved. At this time, at least 6,000 soldiers and officers were arrested by the government in suspicion of taking part in the coup, a number that is expected to grow in the coming hours and days. Among those arrested were at least 29 Colonels and six Generals, including high-ranking figures such as Major General Mamdouh Hakbil, Chief of Staff of the Aegean Army in Izmir, General Erdal Ozturk, commander of the Third Army in Erzincan, General Adem Huduti, commander of the Second Army in Malatya, Major General Ozhan Ozbakir, commander of the Denizli garrison, General Bekir Ercan Van, the commander of Turkey’s Incirlik Airbase, and General Akin Ozturk, the former commander of the Turkish Air Force (THK), the alleged leader of the coup. Airstrikes that were conducted in support of rebels highlight the participation of members from both the ground and air forces in the coup, while the arrest of both current and former officers from various branches of the military underscore the broad spectrum of supporters for the coup from within the armed forces. The ability to conduct relatively large-scale military operations in both of Turkey’s major cities, which were likely partially directed from a remote location, as highlighted by the involvement of the Aegean Army’s Chief of Staff, are indicative of very high command and control capabilities, and are likely the result of extensive planning and preparations. In addition to governmental locales and military headquarters, one of the rebels’ primary objectives was traditional media outlets, as shown by their targeting of various state-owned and private television and radio stations. This move was likely initiated due to the rebels’ desire to capitalize on their initial successful momentum in order to declare their victory, and prevent others from issuing reports that will contradict it. As such, the rebels could have significantly limited the popular opposition against them by giving off the impression of a victory and, thus, discouraging potential resistance. Suspending social media activities. By doing so, coupled with successfully blocking rebels from utilizing traditional media outlets, the Turkish government effectively ended most of the rebels’ ability to directly convey their message to the Turkish people, as well as to foreign actors. This inability significantly diminished the possibility of rebels to rally popular support in their favor and to portray an image that they are acting on the civilians’ best interest, as opposed to in pursuit of perceived power. Rallying people to protest in favor of the government. This was done by both media publications, as well as direct public address systems such as text messaging and announcements from mosques. These developments eventually led to mass demonstrations, not only in central locales in Istanbul and Ankara, but also in areas with Kurdish majorities, such as Diyarbakir, Mardin, and Van. By taking these actions, the government had both secured its legitimacy by showing that it is supported by a broad spectrum of the population, as well as neutralized rebels’ abilities to engage in effective military operations of fear from causing mass civilian casualties and repeating a scenario similar to Syria. While the attempted coup began with some success in Turkey’s central cities of Istanbul and Ankara, that momentum was ultimately reversed, particularly when Erdogan called upon the Turkish population to “come to the streets” to defy the military faction’s takeover. Regardless of political viewpoints, thousands of protesters marched in the streets of both cities, thus highlighting the influence that the president has on the general public, despite recent political controversies, which have called to question his motives. Additionally, even though opposing parties in Turkey’s parliament have largely opposed the president in the majority of his recent decisions and political maneuvers, all of these political entities came out in support of the current government, and stated their opposition for the coup. With this in mind, while pro-coup forces made up only a fraction of the military itself, the government stood united behind Erdogan, thus strengthening the president’s abilities, and ultimately leading to the foiling of the attempted coup. Furthermore, Erdogan’s heavy investment into the Turkish National Police (TNP), coupled with his persistent attempts to control the military’s influence and keep it under civilian control, likely contributed significantly to the government’s ability to foil the coup. Ultimately, Turkish police were able to fend off major attacks, including in central locales such as Ankara’s Headquarters of the General Intelligence (MIT) and Istanbul’s Bosphorus Bridge, thereby leading to the surrendering and arrests of thousands of pro-coup soldiers. Also, it is important to note that many military commanders appeared to remain neutral at the start of the conflict, and likely waited to see which side had momentum before joining forces with pro-Erdogan soldiers. Once these sections of the military aligned with pro-government forces, the takeover began to face significant setbacks. That said, this apparent initial neutrality of Turkey’s top commanders brings to question the loyalties of the military in general, and will likely play a part in how the government responds to the attempted coup in the coming days. In light of the failed coup attempt, it is likely that Erdogan will capitalize on the government’s success, as well as the perceived unity of the Turkish people, in order to further pursue the strengthening and broadening of his own presidential powers. 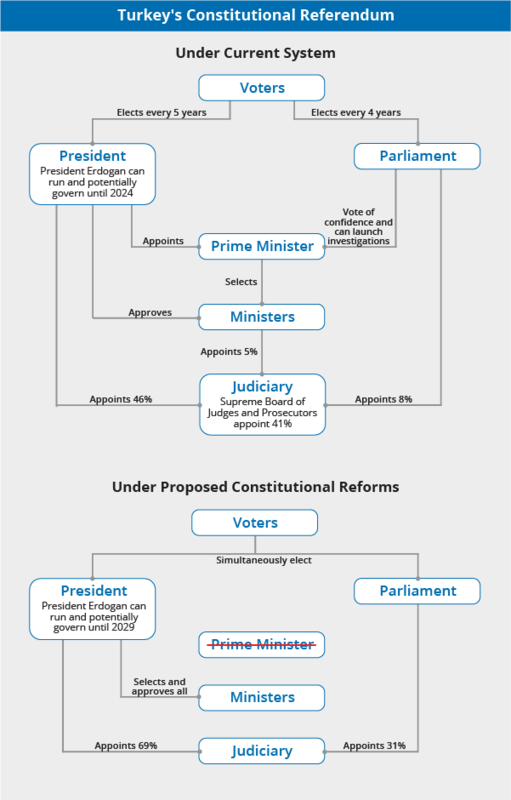 In this context, while the general public has largely opposed constitutional reform transitioning the parliamentary system of government into a presidential one, recent developments may sway popular opinion in the opposite direction, as Erdogan likely attempts to use the attempted coup to demonstrate the need for a strong, unified executive branch. Additionally, the three rival political parties who have largely opposed such a maneuver may shift positions given the public’s strongly negative reaction to the attempted coup. the recent success in foiling the coup in the meanwhile to further strengthen the national police force, while simultaneously initiating further protocols to limit the independent capabilities of the military itself. In addition, to discourage such similar actions by the military in the future, the president will likely seek that the harshest penalties are given to the pro-coup soldiers, while ensuring that trials and sentencing are highly publicized. This will likely lead to further mass demonstrations in support of such actions, as the public continues to oppose the attempt military takeover, and support the government of Erdogan. In this context, as Erdogan likely pursues such harsh measures for pro-coup elements, these soldiers may initiate acts of violence or unrest in order to negotiate with the government, or simply out of desperation. This could potentially include kidnappings of civilians or government officials, as well as other attacks in major cities or locales. While this process likely unfolds in the coming days and weeks, it remains likely that militant groups, namely Islamic State (IS), will take advantage of the ensuing instability to stage attacks in Turkey’s major cities. This point is further bolstered by Erdogan’s likely attempts to further tame the military’s capabilities in terms of acting independently, thus placing the burden of mitigating major threats on Turkey’s national police and security forces, and increasing the chances of militant groups in staging acts of militancy. Overall, in the immediate aftermath of the attempted coup, the threat of militancy unfolding in the country’s central locales remains elevated. While the ensuing instability provided a significant opportunity for Kurdish militant groups, namely the Kurdistan Workers’ Party (PKK), to take advantage of the situation and stage attacks against security forces, at this time, no such actions by the Kurdish fighters were reported. Instead, pro-Erdogan demonstrations took place in heavily Kurdish populated areas, such as Diyarbakir, where the PKK has a known and well established stronghold, and the pro-Kurdish People’s Democratic Party (HDP) released a statement rejecting the coup. With this in mind, the Kurdish populace ultimately backed government forces that they have been largely opposing since hostilities between the sides resumed in July 2015. This inaction by the Kurds can likely be explained by two reasons. Most importantly, while the PKK generally opposes the Turkish government, its main objective in its struggle is autonomy, as opposed to complete independence and overthrowing the Turkish state. In this context, the overthrow of the Turkish government in its entirety would likely be counterproductive for the Kurdish fighters, as such a move would place the country under military rule, and thus, the Kurds would likely face heavier violence in an attempt to stop the PKK from establishing autonomy. Second, regardless of political affiliation and national backgrounds, the general consensus of the Turkish populace highly opposes such actions by the military, as highlighted by massive demonstrations throughout the country. With this in mind, while PKK attacks against security forces will likely resume in the southeast, no major initiatives will likely be taken by the Kurdish fighters in the coming days, both due to the likely bolstered deployment of security forces, as well as the Kurds’ current interest in not having the government overthrown. As the coup was ongoing, it is important to note that President Erdogan was quick to connect the incident to his rival, US-based cleric Fethullah Gulen. In this context, this insinuation by Erdogan, coupled with a general Turkish populace largely supportive of the president, will likely lead elements of the public to perceive the coup as funded and supported by Western elements. This likelihood is bolstered by local reports claiming physical assaults of western journalists, and individuals perceived as such, that have occurred over the last few hours in both Istanbul and Ankara. Moreover, while the US ultimately released a statement showing its support for Erdogan in the ensuing attempted takeover, the measure was not announced for at least three hours after the coup began. In this context, it may be perceived by Turkish nationals that the US waited to see on which side the momentum lied before choosing to support the government. Such a perception would likely largely contribute to further anti-western sentiments, and could result in Americans, Europeans, and other foreign nationals and western-linked businesses in the country being targeted in assaults and harassments. Finally, it remains likely that Erdogan will utilize the events to portray a firmer stance against Western intervention in Turkey’s internal affairs, thus solidifying his popularity amongst the Turkish populace, who generally holds anti-western sentiments. This less favorable position towards the West may cause serious setbacks in recent relations between Turkey and the EU, including the Syrian refugee deal made in April, as well as the potential for Turkey ultimately becoming a member of the organization in the future. Those operating in Ankara and Istanbul are advised to minimize movement over the coming hours. Contact us at [email protected] or +44 20-3540-0434 for itinerary and contingency support options. In addition, ensure that your mobile phones are fully charged and equipped with a charging cable. 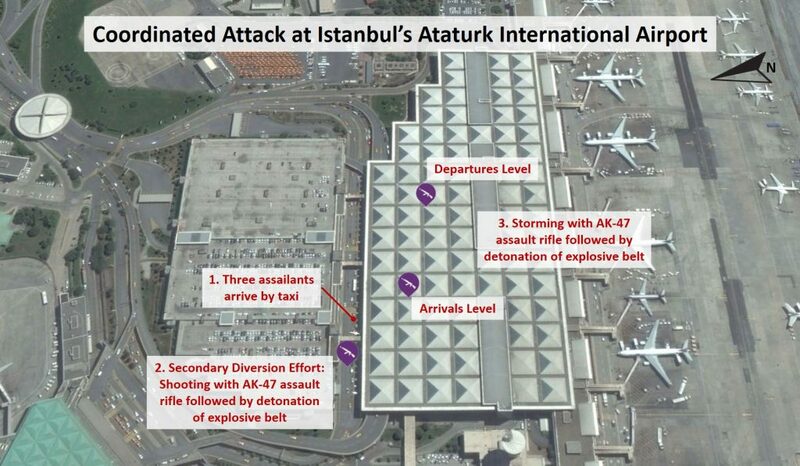 Three suicide bombers of Russian and Central Asian descent launched a well-planned and coordinated attack, detonating themselves at Istanbul’s Ataturk International Airport during the evening hours of June 28 and causing the deaths of 41 people and wounding of 239 others. While no claim of responsibility has been released at this time, we assess that the Islamic State (IS) is responsible for the attack, given the sophisticated modus operandi of the incident, namely a coordinated attack in three separate locations, including a diversion stage, as well as the target, which is an international hub for foreign nationals. Three suicide bombers detonated themselves at Istanbul’s Ataturk International Airport during the evening hours of June 28. Reports indicate that at approximately 22:00 (local time), the assailants arrived by taxi at the international terminal’s arrivals hall. One militant remained behind in the parking lot and aroused police suspicion; he began shooting at police and then detonated a suicide belt. As security forces gathered around the scene of the first blast, in the chaos, the two other attackers were able to enter the international terminal: One at the arrivals hall terminal, and the other upstairs to the departure hall. The second and third explosions reportedly took place at the arrivals and departures halls, where each attacker attempted to pass through security and began shooting, engaging with security forces before separately detonating themselves. The attackers were reportedly from Russia’s Dagestan region, as well as from Uzbekistan and Kyrgyzstan, and they were armed with standard AK-47 assault rifles. However, a local knowledgeable source speaking to us stated that one carried a Glock pistol. Furthermore, the same source stated that one assailant arrived to Turkey one year prior to the attack and then traveled to Syria’s Raqqa Province for training, while the two others joined him several months later. After a period of training, the three returned to Istanbul. At the time of writing, 41 people have been killed, and 239 others were wounded as a result of the attack. Of these deaths, at least 13 were foreign nationals, including from Ukraine, Iran, Saudi Arabia, Iraq, Tunisia, Uzbekistan, China, and Jordan. 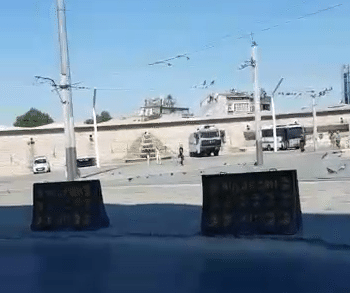 Reports indicate that during the overnight hours of June 29-30, Turkish security forces arrested 13 people during counter-militancy operations in Istanbul, include three foreign nationals of unspecified nationality. While airport operations, including all arriving and departing flights, were suspended following the attack, the airport was reportedly reopened for limited traffic at 02:20. Initial flights began arriving and departing at 05:00. Multiple flights had also been redirected to Istanbul’s Sabiha Gokcen International Airport and Izmir’s Adnan Menderes Airport at the time of the incident. While at this time, Istanbul’s Ataturk International Airport is open to regular air traffic, various delays were reported throughout June 29 due to intensified security measures in and around the airport. This includes additional security force deployments to the airport. The attack comes amidst an escalated threat of militancy throughout Turkey, with multiple large-scale acts of militancy recorded in central locales since the beginning of the year. Most recently, this includes a suicide car bomb explosion at Istanbul’s Beyazit Square on June 7. That said, the multi-faceted attack at Istanbul’s Ataturk International Airport remains highly notable, given its status as the third largest international airport in Europe, with nearly 42 million people traveling through the airport in 2015, as well as the large number of foreign nationals traveling through this locale. 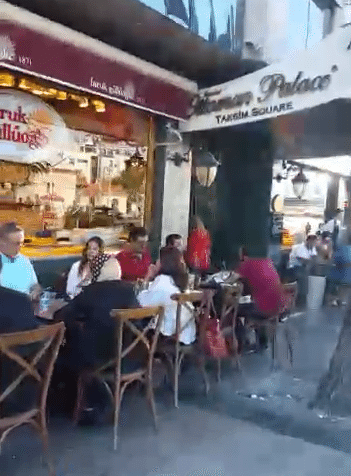 With this in mind, the attack was likely intended to target tourist interests in order to gain more publicity and severely damage Turkey’s economy, which largely thrives on tourism. While no group has claimed responsibility for the attack as of yet, we assess that it was likely carried out by militants belonging to the Islamic State (IS). In this context, IS, dependent on its image for support and recruitment, likely seeks to conduct spectacular attacks globally at this time due to the setbacks the group is facing in Iraq, Syria, and Libya. The threat of attacks is further elevated at this time due to Ramadan, which marks the anniversary of the founding of the caliphate. IS’s responsibility for the attack is supported by the sophisticated modus operandi of the incident, namely a coordinated attack in three separate locations, including a diversion stage, as well as the target, which is an international hub for foreign nationals. The attack involved shooting followed by suicide bombings, a common tactic of the jihadist militant group. This assessment is bolstered by the IS attack plot foiled in Istanbul that we reported on June 18, when security forces seized suicide vests and assault rifles in the city’s Pendik and Basaksehir Districts, indicating plans for the use of an identical tactic. In addition, it is important to note the similarities between this attack, and the attack carried out by IS in Brussels on March 22, where three suicide bombers also attacked the city’s airport, as well as opened fire on civilians with assault rifles prior to detonating themselves. This overall strategy, as well as choice of weaponry, continues to highlight the jihadist group’s modus operandi when carrying out such large-scale attacks. The attack was planned well in advance and followed a long period of intelligence-gathering to include on-ground reconnaissance at the airport. The event further displayed a high level of coordination and sophistication, as militants detonated themselves at three different points at the airport, two inside the terminal and one outside. This was likely an attempt to split security forces’ response and increase the potential that at least one attacker would successfully breach the airport’s security measures. This is further underscored by reports that the attacker in the parking lot detonated first, drawing security forces to the area, as well as creating a bottleneck of people near the entrance to the terminal. Moreover, after thorough review of video footage and images of the attack, we conclude that the assailants demonstrated a high level of proficiency in use of their assault rifles and were well-trained. This is further exemplified by their reported training in Syria. Also, as seen with the jihadist group’s previously claimed large-scale attacks, namely Brussels and the Paris attacks on November 13, 2015, the assailants’ tactics demonstrate that they were attempting to inflict mass casualties. With this in mind, the incident at the airport demonstrates a repeating modus operandi of high-volume attacks at the entrance halls of airport terminals, which are accessible relative to the heavily guarded sterile areas of airports, additionally highlighting the vulnerability of the long lines caused by security measures to these areas. The attack comes one week after the arrest of the June 18 IS cell in Istanbul, which included two individuals of Russian descent. This further indicates the existence of a well-established IS infrastructure in the vicinity of the city, well-connected to IS’s central leadership and recruitment network. In this context, the fact that the attackers were from Uzbekistan, Kyrgyzstan, and Russia’s Dagestan area suggests that the individuals were directed by the central organization to establish a cell in Turkey. This further indicates the potentially growing radicalization of Muslim individuals in these countries, particularly in Russia’s predominantly-Muslim populated regions in the Caucasus, which experiences Islamist militant activity. While suspected IS-linked attacks have been conducted in Istanbul before, including a suicide bombing along Istiklal Caddesi on March 19, and another at Sultanahmet Square on January 12, none of them have been officially claimed by the jihadist group. This was likely in order to avoid a general large-scale conflict with Turkey, and to prevent alienating potential IS sympathizers within the Turkish populace. However, the sophistication of the attack and notability of the target suggests that the jihadist group may claim responsibility for the incident in the near future. Furthermore, the worldwide attention granted to this attack, as well as its spectacular method is likely to serve as an inspiration and role model for additional militant groups in Turkey and worldwide. The incident underscores difficulties faced by Turkish security forces in mitigating all threats presented by the multitude of militant groups operating within the country, even at locales deemed heavily secured. Security forces face challenges in profiling suspected IS members due to the diverse nationalities comprising the group’s affiliates. It is noteworthy that militants were likely attempting to cross through the first security checkpoint to stage attacks deeper within the airport’s terminal but were prevented by the security forces, preventing a much larger-scale attack from materializing. That said, it is notable that the security personnel were distracted and concentrated their efforts to one area, namely the parking area where the first attacker detonated, more easily allowing the other two attackers to enter the airport. It is further notable that as demonstrated by the attack footage, after one attacker was shot and wounded by a police officer inside the terminal, falling to the ground and dropping his rifle, several seconds passed until he detonated his explosive belt, time during which the officer could have neutralized him. Following this incident, Turkey’s security apparatus will likely adopt a series of heightened protocols in order to mitigate further threats. This includes intensified security measures in and around Istanbul’s Ataturk International Airport, including checkpoints entering and exiting the airport’s grounds, as well as additional security checks within the facility itself. These security protocols will also likely be extended to other major airports and transportation hubs throughout the country. Finally, security forces will likely enhance security measures in Istanbul and in other centralized locales throughout the country, including Ankara and Izmir. This is likely to include further arrest raids of suspected militant hideouts, and checkpoints to and from these major cities. With this in mind, Turkish security forces will likely consider more forceful measures in retaliating to the attack and responding to the threat presented by the militant group in general. This will likely include an increase in airstrikes against IS’s positions in northern Syria. Additionally, Turkish authorities may consider conducting cross-border operations between Turkey and Syria to better secure the porous border and prevent IS militants from entering the country. Last, Turkish authorities may reconsider a proposed “safe zone” in northern Syria to further damage IS capabilities in Syria. Those operating or residing in Turkey are advised to contact us at [email protected] or +44 20-3540-0434 for itinerary and contingency support options. Those planning to travel through Turkey’s airports, specifically Ataturk International Airport, should allot for heightened security measures and long lines, extending the time needed for pre-departure. Travelers on connecting flights are advised to avoid unnecessary travel outside the secured zones of the airport. Avoid unnecessary confrontations with security forces, due to their heightened tensions and alertness across Turkey. Allot for checkpoints and heightened security measures nationwide. Hey Buddy!, I found this information for you: "Strategic Analysis: Prospects for a negotiated solution in Syria". Here is the website link: https://www.max-security.com/reports/strategic-analysis-prospects-for-a-negotiated-solution-in-syria/. Thank you.